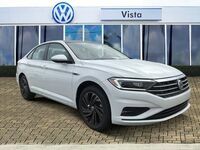 The redesigned 2019 Volkswagen Jetta at Vista Volkswagen Pompano Beach has a lighting system for its interior with ambient lighting and 10 colors to create the perfect mood and adjust its lights easily. The new VW Jetta also includes 2-tone seats made of leatherette to provide maximum comfort. The 2019 VW Jetta is now boasts a grooved hood which allows it to distinguish itself from its competitors. The new VW Jetta possesses LED headlights for optimal visibility and impressive style. 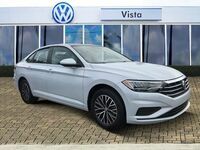 Experience the style by of the 2019 VW Jetta by taking it for a test drive In Pompano Beach near Fort Lauderdale today. The new VW Jetta includes a system to monitor your tire pressure so you can be sure that it never comprises your tires’ efficiency as well as their safety. 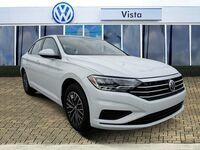 The 2019 VW Jetta includes 7 systems for enhancing the car’s stability, including control of your electronic stability to control engine throttle as well as applying corrective forces on whichever wheels needs it. A second system is electronic distribution of your brake pressure that provides maximum stopping power even if it is a scenario where hard braking is required. Confirm how the new VW Jetta provides peace of mind for yourself by test-driving it in Pompano Beach near Fort Lauderdale and Coconut Creek. 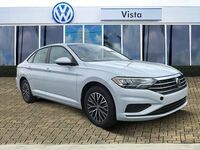 The 2019 VW Jetta is run by its 1.4L 4-cylinder turbo engine, generating 147 horsepower as well as torque of 184 lb.-ft. for the car. It has the options of manual 6-speed transmission system or an 8-speed automatic transmission system. The new VW Jetta additionally includes the ability to select your driving mode, letting you switch between Sport, Normal, Eco and Custom driving modes. 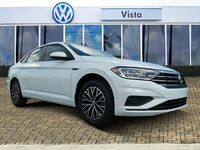 Discover the 2019 VW Jetta and its power today by test-driving it in Pompano Beach. The new Volkswagen Jetta has a touchscreen display with an 8-inch screen and navigation assistance to help you get to your destination with ease and without delay while also getting the information precisely. Such a display accentuates the map to allow easy use and thorough route guidance provides you with turn by turn instructions. The 2019 VW Jetta also includes Beats Audio™ to enable you to experience any music with surround sound quality utilizing its speakers. Appreciate the new VW Jetta and the inventive technology by taking a test drive at Vista Volkswagen Pompano Beach near Fort Lauderdale and Coconut Creek today.